Block planes are the workhorses of the shop. Like our Low Angle Bench Planes, these planes all have the blade bevel up. All of our Block planes have the blade bedded at 12°, with the exception of the No. 101 Violin Maker's Plane, which is bedded at 20°. 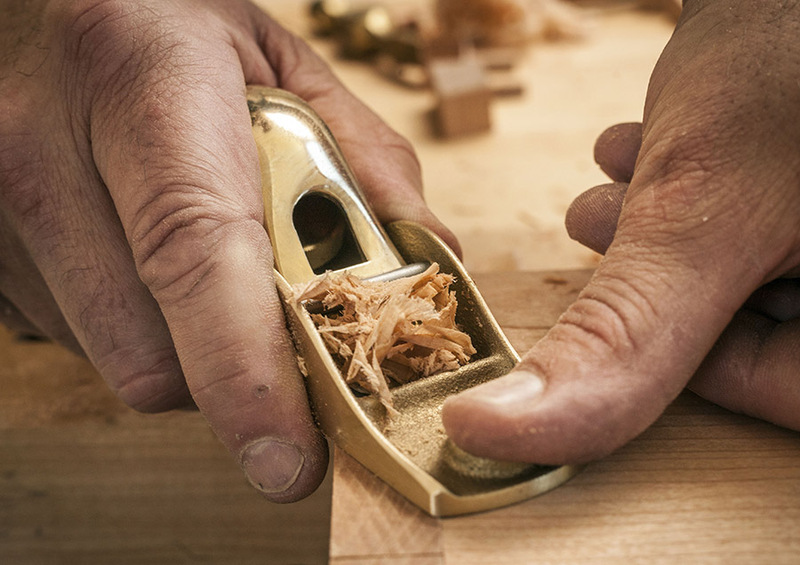 We grind a 25° bevel on our block plane blades, making the cutting angle 37°. This works well in low angle planes for end grain and general purpose work. Higher cutting angles will give excellent results in difficult or highly figured woods. A powerful technique for enhancing the performance of low angle planes is simply to hone an angle higher than 25º on the blade. For example, a 33º bevel makes an effective cutting angle of 45º, and a 38º bevel equals a 50º cutting angle. This is easily done by honing a small secondary bevel - no need to alter the entire bevel.